I just love your cards. Your coloring is super fab and the layouts are always beautiful! 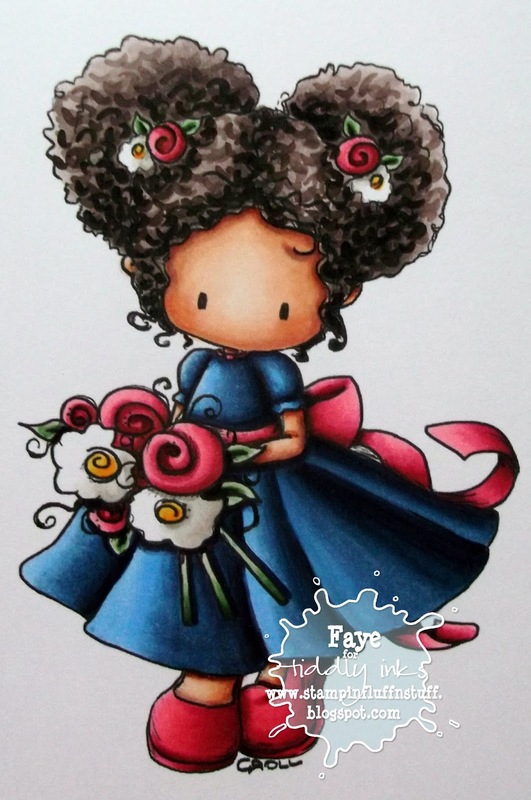 Totally adorable image and stunning colouring Faye. I love the papers and pretty doily too. Ooohhh OK, it's official... I LOVE your colouring!! GORGEOUS use of those shades of deep blue... and wowwww to little Faythe... loving her hair-do... and you've made such a fabbie job of it - difficult to achieve! 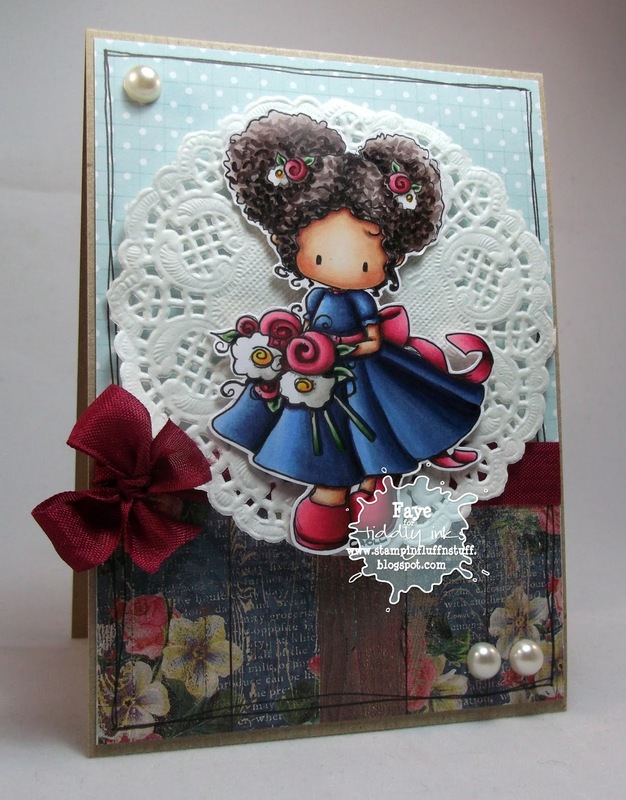 A gorgeous card Faye. Love your colouring and the pretty papers. She is totally adorable and I love the patterns and everything!!! This is gorgeous i love your colouring & the colours used.